Once an engineered wood floor is installed, it would look exactly like a plank floor. Notwithstanding the fact that both wood types may have the look and feel of natural wood, at its core, they are different. It’s really a dilemma for many people as to what type of floor should be used; plank or engineered wood floor. As a matter of fact, taking a decision one way or the other isn’t as complicated as it may seem. Engineered wood floors are different when compared with plank floors as they can be installed relatively easily and aren’t as expensive as solid planks. Anyone living near Hollywood and looking to install hardwood floors north Hollywood has many professionally managed flooring companies who would be glad to get the job done for their clients. These floors have a classic appearance about them and it would be the pride and joy of any home. If not damaged by flood or fire, an elegant and perfectly installed hardwood floor would add to the value, character and warmth of the interior of the house. Given that the quality of wood floors vary as there are different varieties of wood with varying character from which floors are made. If the characteristics are known then that would help anyone opt for an appropriate wood floor. It cannot be emphasized enough that engineered wood floors and solid wood floors are entirely different, and as circumstances vary, so do the type of flooring requirement. Initially, engineered wood floors were built for installation on the first floor of a home, on a slab of concrete or for using in basement. Upgrades to technology over past couple of years, have led to multifarious use of the product. 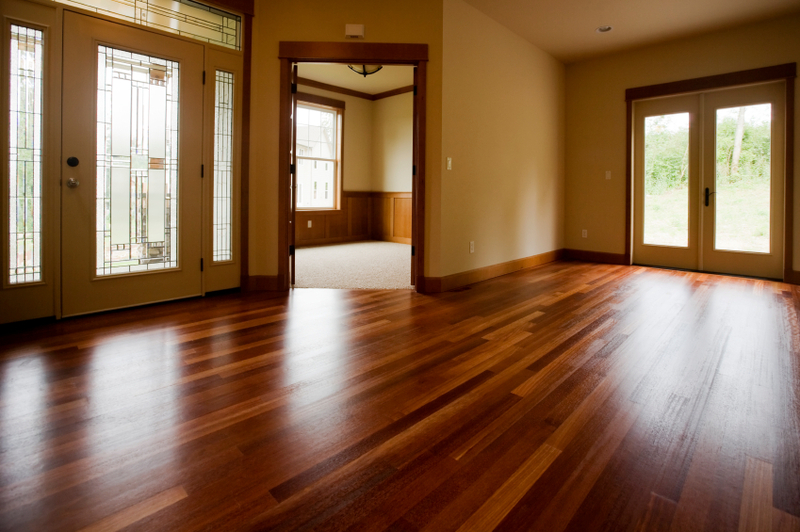 Engineered wood floors are relatively stable and are moisture resistant. There is hardly any wooden product that is immune to water. Despite the fact that level of moisture on concrete may increase, it’s not a hindrance to install engineered wood floors. As a result of the way engineered wood floors are made, they are stable and can withstand moisture.